The 8th Grade Division of the Clash For The Cup was loaded with National Talent. Here’s Part 1 of our Top Performers from the weekend. 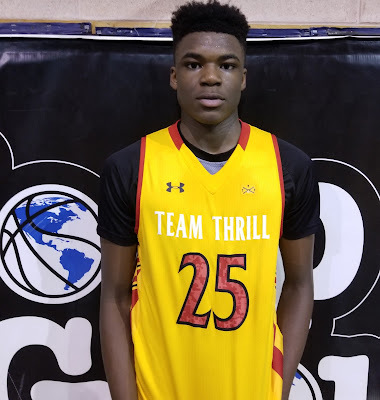 Jarace Walker Forward (Team Thrill) – Walker was hands down the number one player and prospect in the building. He has a rare combination of size, strength, athleticism, and skill that you rarely see at the 8th grade level. What really jumps out at you are his high basketball IQ and the fact that he always seems to make the right play. He has a quick jump that allows him to be an elite shot blocker. 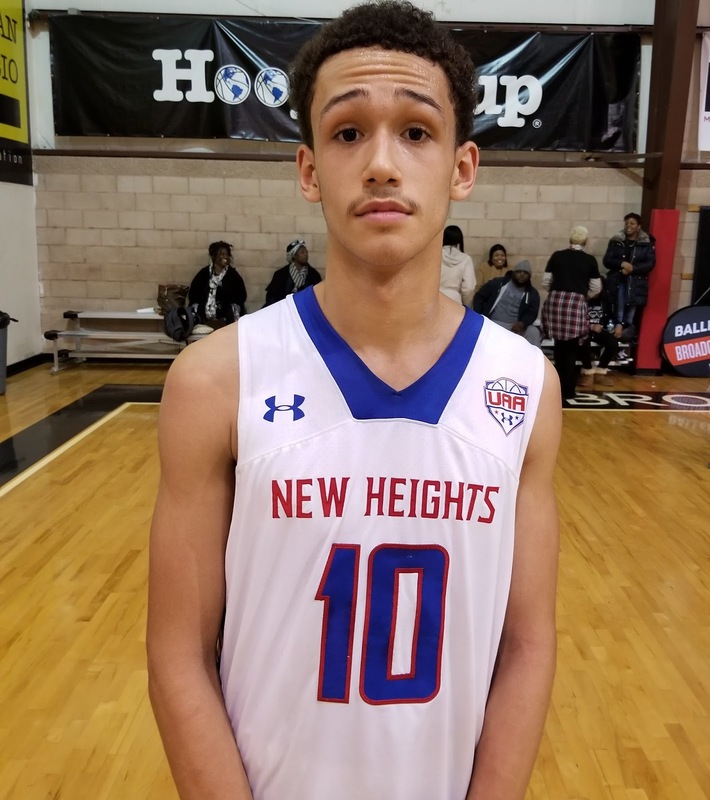 Jarace rebounds at a high rate and then pushes the ball making plays for his teammates showing off his high level passing skills. He has a nice jump shot out to the 3 point line and he plays above the rim. 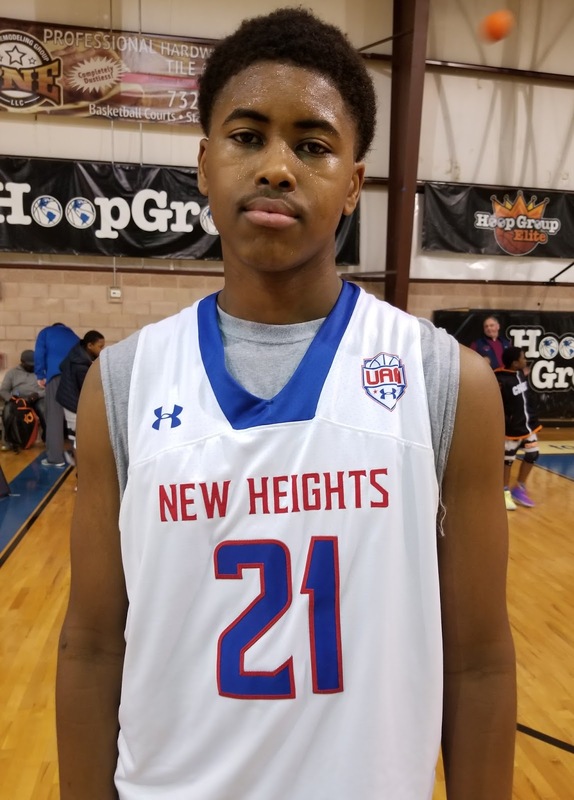 Walker is a match-up nightmare and will be in the conversation for one of the top players in the Class of 2022. 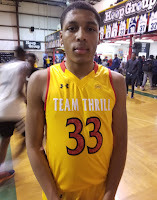 He finished with 11 points in the championship on a very balanced Team Thrill squad. 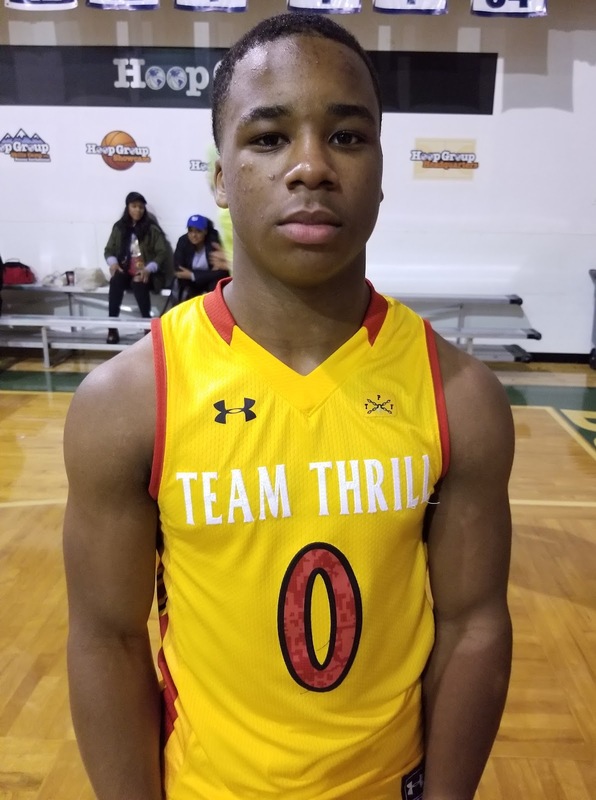 Antonio Hamlin Guard (Team Thrill) – Hamlin is a combo guard that excels attacking the rim from the wing or in transition. With added size and strength he has the ability to absorb contact and finish at a high rate. Antonio can guard all three of the perimeter positions and he rebounds his position with the ability to lead the break after he secures the rebound. He also showed his range out to the 3pt line as he hit two in the championship finishing with 11 points. 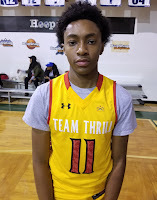 Andrew Rheubottom Forward (Team Thrill) – Andrew is a strong forward that does most of his work FT line in. He hits the catch and shoot jumper from the high post with consistency and can also attack the basket off the dribble from the high post. Rheubottom is a high level rebounder on both ends of the floor and gets a lot of offensive rebound put backs. Sammy Scott Guard (Team Thrill) – Scott is a hard-nosed compact guard that has great strength and speed for his stature. He runs the point for his team and knows how to control the pace of the game and who to get the ball to in a scoring position. Sammy also is a good defender that harasses the other team PG. He has a nice pull up off the dribble and can finish through contact at the rim. He looks to set up his teammates first and then picks his spots. 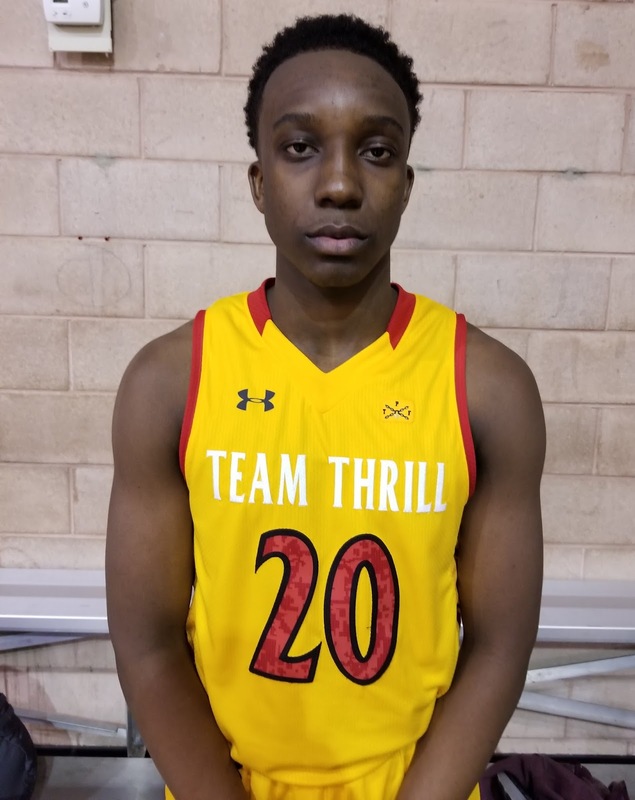 Christian Winborne Guard (Team Thrill) – Christian plays the shooting guard spot on Team Thrill and he is the best 3pt shooter on the squad. He has nice size allowing him to shoot over top of smaller defenders. He also can score from the other two levels but the long ball is his specialty. 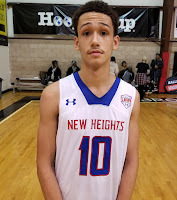 Isaac Gonzalez Guard (New Heights) – Gonzalez had a great Future Phenom Camp over the summer and we were excited to see him run with his team and he didn’t disappoint. He is a smooth scoring PG that has that it factor. You can tell he feels most comfortable scoring the rock but he showed his ability to the run the team and make plays for others. He finished with 11 points in the semifinal win against the Playaz and exploded for 22 points including three 3 pointers in the championship loss to Team Thrill. 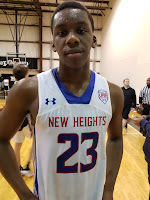 Chisom Okpara Forward (New Heights) – Chisom is a combo forward that can play inside or out. He kinds of reminds you of a Draymond Green as far as his stature and skill set. He is at his best going downhill attacking the basket either in the half court or in transition. Okpara can take a smaller defender down to the low block or a larger defender out on the perimeter. As his offensive skill set continues to evolve his national value will continue to rise. He tallied 15 points in the semifinal win against the Playaz. 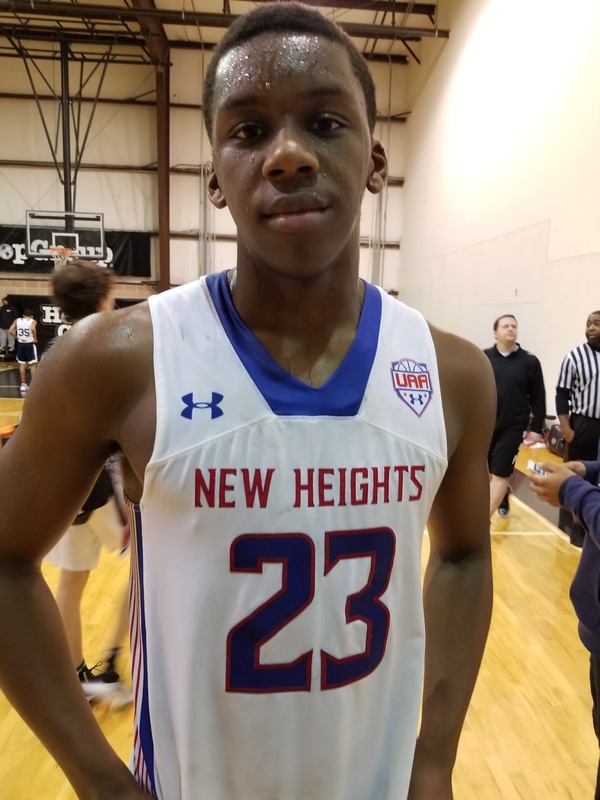 Lucious Gibson – Savadel Forward (New Heights) – You always seem to find a few under the radar prospects when attending a Basketball Spotlight event. Lucious is just that standing at 6’8 with a strong body. He is a work in progress right now but he has the size to affect the game on the defensive end blocking and altering shots and rebounding the basketball. He will need to develop a go to post move along with a counter move. We will continue to track his progress.